For some reason our 2006 Honda Civic was missing the entire back up light and socket on one side when we bought it used a couple years ago. I finally got around to working on it this weekend and managed to get a socket and light installed (FYI its possible to use one from a ’96 Chrysler). After I got everything put together I went to try it out and much to my dismay the car would not shift out of park or start. 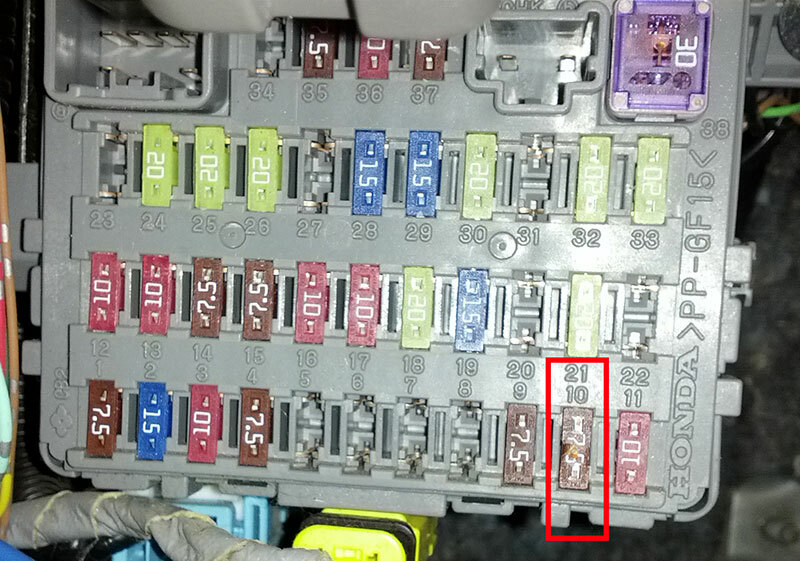 I was quite sure it must be a fuse issue from something grounded out while installing the light, since I had to splice some wires to fit the new socket, but the symptoms seemed a bit extreme for a simple short. 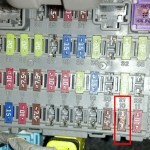 I eventually found the culprit, which was a 7.5 fuse labelled “METER” that is located in the fuse bank under the dash. I’ve put a picture of it below if anyone else ever runs into a similar issue. If you are having issues getting your Honda to shift INTO park. Please check out my other post with an issue my brother had with his daughter’s Civic.